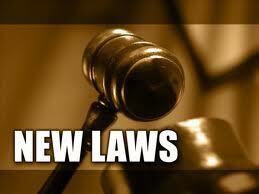 A new contractors license law goes into effect for 2014. With the new application experience verification process in full swing, many people who contact me are asking about using someone else to qualify their license. As I’ve stated in other posts, the law does allow this. But, with the new law listed below, you better be fully involved in the other licenses activities or the CSLB can and will come after you. Agencies like The RMO Agency have been connecting companies and qualifiers for years. The problem is, they have no oversight to ensure that the people they are connecting are actually following the current rules/laws/regulations that pertain to qualifiers of licenses. I’m not suggesting they should have oversight. It is the qualifiers responsibility to ensure they are involved in the projects done by that other license, after all. But companies like this will put together a qualifier from northern cal with a company in southern cal. This puts the qualifier and the company in a perilous position. And now, with this new law coming into effect, the CSLB will have the power to take action against both parties. Below is the section outlining the new law in the CSLB newsletter. Qualifiers – CSLB is now able to discipline a qualifier and the licensed entity they are qualifying when the qualifier is not actively involved in the construction activities of the license they are representing. In addition to administrative penalties, the individual falsely serving as a qualifier on the license can be charged with a misdemeanor, and be sentenced to serve up to six months in jail, and pay a fine from $3,000-$5,000, or both, if convicted. SB 262 amended §7068.1 of the B&P Code. My advice to anyone who may be thinking about qualifying another license… the new contractors license law can and will have a big impact on you, the license you qualify, and your own personal or corporate license. So I suggest you do what you can to be involved as much as possible. via CLC Newsletter Winter 2013. Unfortunately, I don’t have or provide contracts of any kind. Perhaps rocketlaywer .com?